Luxury trains are keeping the legacy of the royal past alive in India. Inspired by the royals of princely era, these trains are keeping the country’s rich cultural and colourful heritage alive in its most lavish form. The journey aboard is as fascinating as the destinations included in this selected itinerary. Depicting the glory and grandeur of this land of hundred kingdoms, these luxury tours discover the excellent architectural, cultural and historical specimens of the royals. Adding on to this is the superlative hospitality experience readily available in these royal carriages. Beyond the concept of luxury, these trains define and recreate the world of immaculate indulgence aboard. Inspired by the princely charm and kingly magnificence; these trains are a kingdom of fantasy in the real life world. It is the only place in the world, where tourists or passengers are most assured to be truly treated like a Maharaja, an adjective associated with the great kings. The interpretation of this adjective is naturally present in its every superlative expression of such luxury trains. Right from the passage that takes passengers to their own kingdoms i.e. their regally furnished coupes or cabins to the 24 hour assistance from attendants, dining at royally embellished restaurants or indulging the bar cars; everything is inspired right from the historical accounts of king-size lifestyle. The collectible paintings, coordinated tapestry, furniture, furnishings, drapes, cutlery, and wineglasses recreate the times of the yore, when idiosyncratic kings least compromised with the arrangements. Aboard these indulgent trains, even guests get no chance of compromise onboard this magnificent take of opulence. The ardent 24 hr assistance of Khidmatgars or royal attendants is another highlight of this train tour. These turbaned attendants, more than a staff, are a part of the luxurious experience aboard to make the royal passengers feel special with pampered assistance. The wish of such travellers is considered the command which is enthusiastically met with their dedicated service. Currently, there are five major train brands conceptualized and executed by the respective state tourism departments that exhibit the immaculate standards of royalty aboard. The first and the oldest among them is the Palace on Wheels Train, which comprises the living heritage of luxury railways in this historic country. It is based on the palatial life and heritage of Rajasthan. Apart from displaying the illustrious side of the state, the train uses the coupes that were originally used by the Nawabs and Rajputs of the colonial India for touring the small kingdoms. Everything is just the same; the difference nowadays is that the tourists avail the golden chance to travel aboard these luxurious trains instead of kings. The modern adaptation of the Palace on Wheels is Royal Rajasthan on Wheels, which is inspired by its parent train, yet brings modern luxuries to the passengers. Another state leading the deck in such unique train offerings is Maharashtra. This state operates Deccan Odyssey, a train franchisee trailing around the exotic forts and beach hinterlands of the state. Another presentation from this state’s line of trains is the Indian Maharaja, an itinerary routing from Mumbai to Delhi and vice-versa. Both the trains provide a great share of Maratha heritage to the tourists. Third brand in this series is India Golden Chariot Train Tour, a Karnataka tourism presentation. The south India’s only luxury train, Golden Chariot rolls under the two different itineraries. The first one, Pride of the South Train is based on the golden discovery of illustrated gems of the originating state. The second one, Southern Splendour forays into the states synonymous with the identity of South India i.e. Tamil Nadu and Kerala. Besides this, there is a grand interpretation of luxury trains, the Maharajas Express. This train is not a single train but a luxurious presentation of five major trains chugging on different routes. The Indian Panorama Train Tour is one of the rare itineraries featuring the varied glimpses this colourful country is known for. The heritage of India is a great journey of the cities steeped into the history of this nation. The third one, Indian splendour is another wonderful journey into the fantasy of royal kingdoms. The last two itineraries, the gems of India and the treasures of India are short routes to royalty. These two train routes run on the most trusted golden triangle route based on Delhi, Agra and Jaipur. 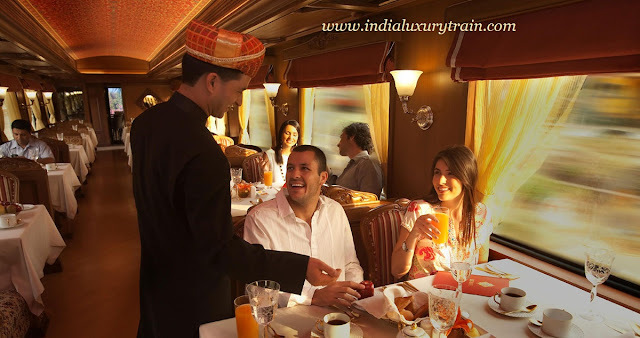 There is so much associated with the fascination of a luxurious train in India. Because of its rich cultural heritage and associations with the royal ancestors, these exclusive train tours are one of the best ways of touring India beyond satisfaction. 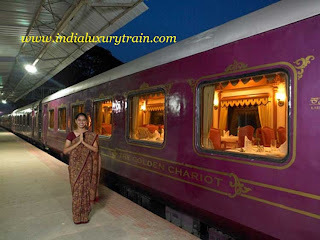 To know more about trains like this and their rich heritage, visit India luxury Train. Maharaja Express by irctc gives you the feeling of the luxurious train travel in India. Plan your tour travel by the-maharajas and experience the unforgettable train journeys with no compromise on comfort.